Celebrate the harvest and turkey time by sending your friends and family personalized retro Thanksgiving greeting cards this year. Each of our high quality, completely affordable vintage look cards comes complete with an envelope and a 100% satisfaction guarantee. So, what are you waiting for? Browse through our handpicked selections and order yours today. Thanksgiving will be here before you know it! 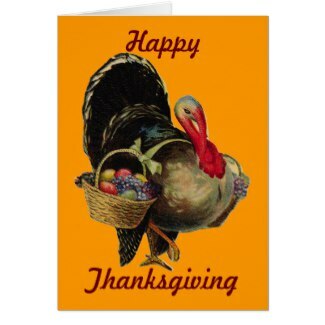 We love this Vintage Happy Thanksgiving Turkey Greeting Card with a bright orange background. 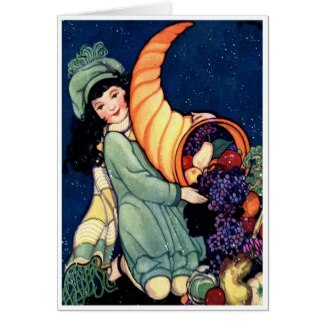 This Vintage illustration depicts the ​Bounty Of Wishes in a pretty Thanksgiving Card. 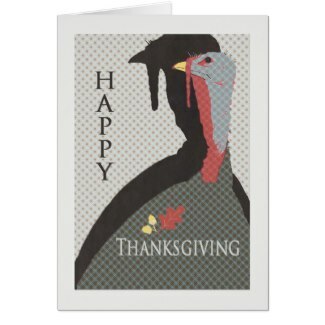 This Art Deco Happy Thanksgiving turkey is just perfect for a mod Thanksgiving greeting. 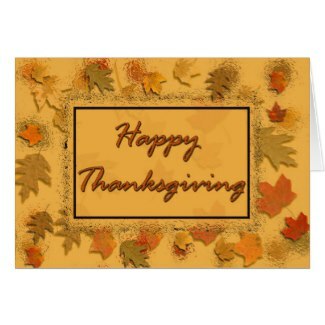 We love this joyous pumpkins and leaves Happy Thanksgiving Day card. 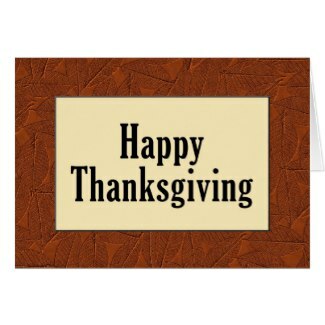 This retro 1990's Thanksgiving card has a classy embossed style boarder and a clean look. 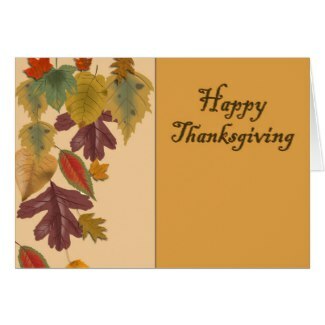 This vintage leaf Happy Thanksgiving card is so pretty and completely customizable. 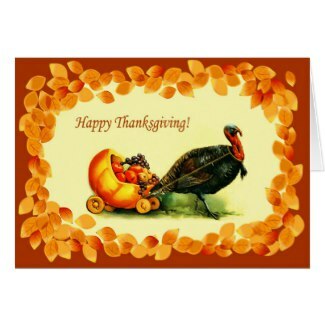 This colorful vintage Happy Thanksgiving card has a turkey pulling a pumpkin, how fun is that? 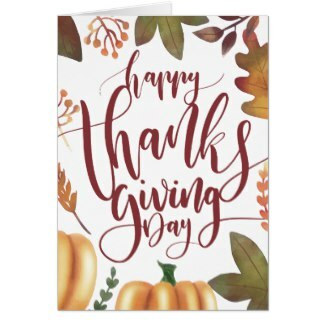 There are a lot more fun vintage and retro style Thanksgiving card designs to see!